Mr Green reveals its Christmas Calendar! Always at the end of the year starts at Mr Green the Christmas Calendar promotion. 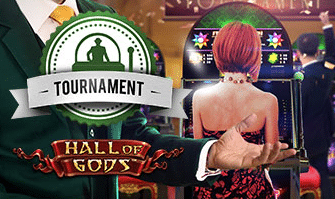 Like every year expecting players great prices, free spins and 36.000 € in cash prices. This promotion runs in addition to the regularly promotions like the weekly Cash Drop and the Free Rolls at the weekends. Come in to experience this great events and offers. For participating at these great promotions at Mr Green players have to be a member. Players from United Kingdom, Ireland, The Netherlands, Sweden, Norway, Finland, Germany, Austria, Czech and Poland are eligible to join the offer. Free Spins winnings and cash prices must be turned over at least 20 times. In addition 20 iPhones 6 are being raffled among all of the participants. Good luck! 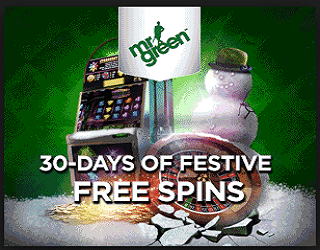 Besides of seasonable offers like the Christmas Calendar runs the Mr Green Casino some great weekly promotions you never should miss. Also famous are the 2.000 € free roll tournament every weekend. Join now the casino and receive your first present with 10 free spins at the “Lights” slot and 350 € in bonuses for several deposits. 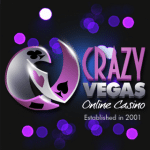 There are some good news in one of Microgaming’s best Online Casino’s: The Crazy Vegas is already in a brand new design and looks much more comfortable for the players. Behind the changes are much more surprises plus the new Welcome Offer for newcomers. There is something going on and we can promise, the winner are the customers. New fantastic Bonus of 500 € out now! We have here a great opportunity to test the Crazy Vegas games. There are two bonuses on offer: after opening of the player account you have one week to receive 500 € absolutely free. You can get the bonus with one single deposit or even with 2,3,4 or 5 deposits. This way or the other, you always get 100% of your amount free on top. Or use the second option and simply play with 3.000 € in free bets for one hour and keep your winnings. And that’s the way it works in the future when you play at the Crazy Vegas: go to the homepage choose one of your favorite games, click on it and start playing. No download is necessary anymore. In case you cannot find your game simply use the new search function. The new platform is easy to use and players will love to play directly in their browser windows. Find out now how simply it works and get one of the great bonuses here. What a day for the swedish guy Gabriel. 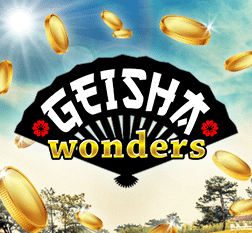 The enthusiastic Roulette and Black Jack player has won on his side game “Geisha Wonders” the Jackpot with fantastic £664.639! And that with a bet of only £3! That all happened last week at Mr Green and for all no Jackpot winner waiting there still more Jackpots. And three of them are bigger than a million pounds in the moment: Mega Fortune, Arabian Nights and Hall of Gods. With the weekly promotions every player can easily win some extra cash. And no big bets are necessary to join this offers. On the Thursdays runs the cash drop promotion. 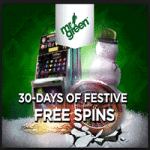 Players only have to play a selected slot and can win randomly between £5 and £250 at Mr Green! The whole day! Well known and not less interesting are the weekends £2.000 free roll tournaments. Top winning award here is £1.000! Get now your Bonuses for joining! In case you wants to join a good Online Casino, Mr Green should be one of your first choices. The offered games are fantastic and with its Live Casino and the Mobile Casino will be no wish left to be desired. 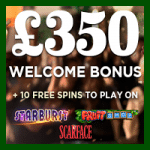 And you start with two great Welcome Offers: 10 free spins without any deposit at the “Lights” slot and not less than £350 for your first deposit.